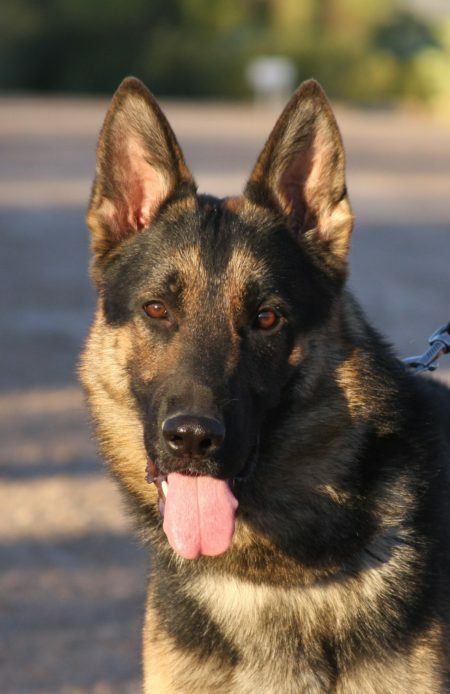 Jimmy trained German Shepherd Male for sale - ZAUBERBERG! Jimmy trained German Shepherd Male for sale is medium sized and has super black and brown color. He has excellent bone strengths and substance matching his body size perfectly. He is playful and very social. Advanced off leash obedience trained, follows commands fast and reliable. Loving personality with medium playdrive. Interested in Jimmy vom Zauberberg?